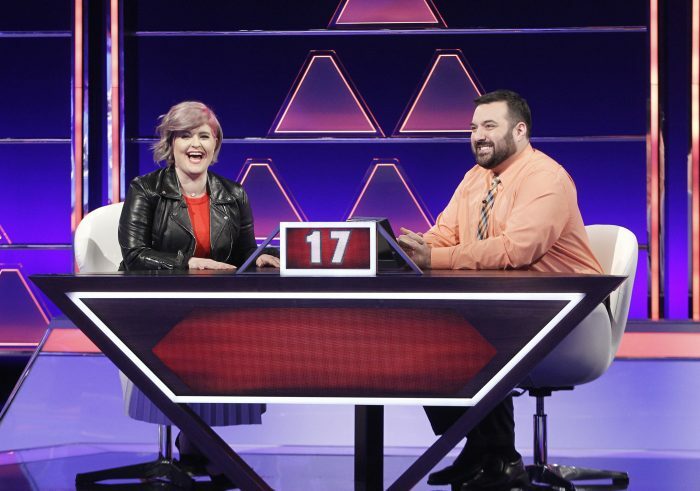 Mr. Jim Coe, a former and favorite history teacher at Hudson Catholic, appeared on The $100,000 Pyramid on September 23, 2018. Mr. Coe was one of many to be selected to participate on Episode 313 of the game show which airs on the ABC network. This is how the game works: Two teams of two compete in a word-association game. Each contestant gets a celebrity partner, and one partner provides clues to six mystery words, leaving the other to try and guess those words before the time runs out. The team with the most points gets to play the bonus round, where the top prize is $100,000. The celebrity guests that Mr. Coe played with or against were Kelly Osbourne (British singer-songwriter) and Matt McGorry (American Actor). The opponent Mr. Coe competed against for the prize money was participant Karen Valoria. Even though Mr. Coe did not win any prizes, he was still hilarious and fun to watch on television. His unmatched personality was the same on television as it was in the classroom. Former students at Hudson Catholic supported and rooted on for Mr. Coe, and his presence at Hudson Catholic is sorely missed. He wins our prize for most-missed teacher! This was so nice to read. Thanks for the write-up, Ian! I miss all of the Hawks, too, regardless of whether they were students or not. I hope I’ll make my way back to McGinley Square for a visit before long. Wishing everyone on The Commentator all the very best!